Gene Details page provides gene specific information from various resources in different panels. Sidebar on the left display quick links for easy access to other resources. Structure and Domains Block include UniProt entry links, PDB and PM Portal entries if available and Subcellular localization information. SSGCID Block displays entry for this in Seattle Structural Genomics Center for Infectious Diseases. If no entry is available user can submit request through their website. DNA and Amino acid sequences are also provided on this block. 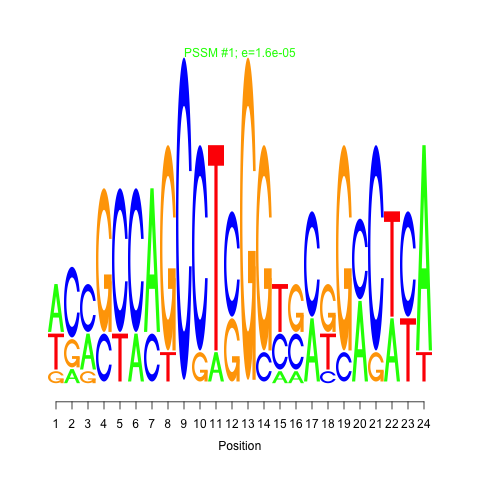 Summary Panel shows basic genome annotation information for the gene such as Locus tag, symbol, Protein product description and genomic coordinates etc. If the gene is also a TF, this is indicated in the last column. Overview Panel summarizes regulatory information predicted through cMonkey algorithm by indicating regulatory modules containing this gene and associated motif and term enrichment information. Essentiality for in vitro growth on cholesterol is also indicated here. If gene is a TF included in ChIP-Seq experiments, this panel will display list of genes whose coordinates found to be close to ChIP-seq binding peak coordinates. In addition to Distance from binding coordinate and genomic feature type of the target gene, differential expression and associated significance scores identified in TFOE experiments will also be shown here. List of TF that were found to have binding peak close to genomic coordinates of this gene in ChIP-Seq experiments will be listed here together with differential expression and binding peak properties. This panel displays regulatory modules identified by cMonkey algorithm. For each module module name is linked to detailed information. For each module two de novo identified motifs are also listed together with associated motif logos and link to details page. Module residual which is a measure of bicluster quality is in the last colum. Mean bicluster residual is smaller when the expression profile of the genes in the module is "tighter". So smaller residuals are usually indicative of better bicluster quality. This panel displays regulatory influences of TF as identified by using Inferelator algorithm. For each influence, name of the regulator, direction of the influence (up-regulates vs down-regulates) and influence weight are shown. Confidence of given influence relates to higher absolute values of the influence weights. Other influences column provides link to other predicted targets for the given regulator. If the gene is a TF and included in Inferelator network predictions, predicted target regulatory modules are displayed in this panel. Synonym names for the gene and its protein produs are listed. PATRIC Panel shows overview information from PATRIC (Pathosystems Resource Integration Center) such as PATRIC assigned Enzyme names, Pathway information and any available literature information. PATRIC Locus tag is linked to corresponding page in PATRIC. Quick access to Tuberculist entry for the given gene is provided. Locus info will direct to Tuberculist page while Quickview opens corresponding page in an overlay window to provide a galnce of the TUberculist page. Genome view will display genomic neighborhood information from Tuberculist. If gene has KEGG Pathway information link to specific pathway together with description of the KEGG Pathway and the number and links to other genes within the same pathway is shown in this panel. BioCyc is a collection of 5500 Pathway/Genome Databases (PGDBs), plus software tools for understanding their data. If gene is included in BioCyc, link to details page is shown. Cellular Overview Map will display the placement of the gene in the Cellular Overview Map in an overlay window. STRING is a database of known and predicted protein interactions.The interactions include direct (physical) and indirect (functional) associations. This panel will link gene to associated STRING entry and STring Network Column will display network of functional associations for the gene from STRING in an overlay window. RefSeq is a comprehensive, integrated, non-redundant, well-annotated set of reference sequences including genomic, transcript, and protein. 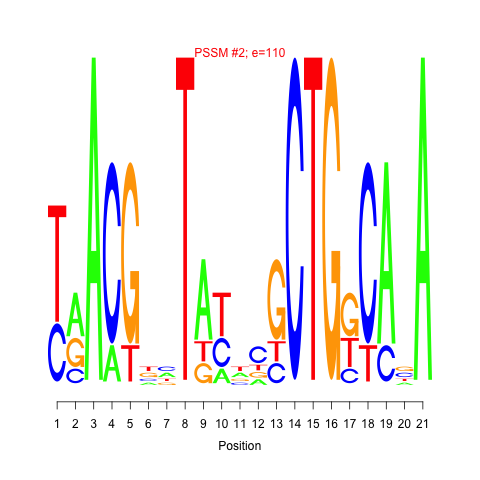 RefSeq associated GI Number and Protein ID is displayed and linked to respective RefSeq pages. BLast column enables directly submitting this gene sequence as a query for Blast analysis. Conserved Domains column will enable similar analysis for the Conserved Domains database. Gene Ontology terms as provided by genome annotation are displayed. For each term, Term ID and Description is provided. Zoom icon will display more information about the GO Terms. Gene Expression panel will link out to expression profile page for the given gene in TBDB database . SSGCID’s (Seattle Structural Genomics Center For Infectious Disease) primary mission is to determine the structure of ca. 70 protein targets from NIAID Category A-C agents, as well as emerging and re-emerging infectious disease organisms, each year for a period of five years. If structural information for the given gene is available, it will be displayed with summary information. Gene Essentiality scores collected from several studies are visualized as barplots. Griffin Essential: Essentiality score of in vitro growth. Indicates if the gene is found to be essential for in vitro growth on Cholesterol. Whether the gene is essential or non-essential is displayed along with t-test p-value and Colesterol/Glycerol Ratio as described below. The relative representation of each mutant was determined by calculating the fold change (sequence reads/insertion in cholesterol divided by sequence reads/insertion in glycerol) for each gene. Statistical significance was determined by t-test. Each insertion site in each replicate sample was treated as a separate data point. The hyperbola used for defining genes specifically required for growth in cholesterol was defined by the formula, y = 3.8/x+0.7. Genes above this line are annotated as required for growth on cholesterol. - Griffin JE, Gawronski JD, Dejesus MA, Ioerger TR, Akerley BJ, Sassetti CM, High-resolution phenotypic profiling defines genes essential for mycobacterial growth and cholesterol catabolism. PLoS Pathog (2011) 7(9). Rv3911 (RNA polymerase sigma-70 factor, ECF subfamily) is predicted to be co-regulated in modules bicluster_0476 with residual 0.52 and bicluster_0505 with residual 0.54. This regulation is possibly mediated by two de-novo identified cis-regulatory motifs in each module with e-values , 0.02 and 110.00 for bicluster_0476 and 0.00 and 0.00 for bicluster_0505 respectively. These modules are enriched for following go terms: . This gene is found to be essential for growth on cholesterol. A sigma factor is the promoter specificity subunit of eubacterial-type multisubunit RNA polymerases, those whose core subunit composition is often described as alpha(2)-beta-beta-prime. 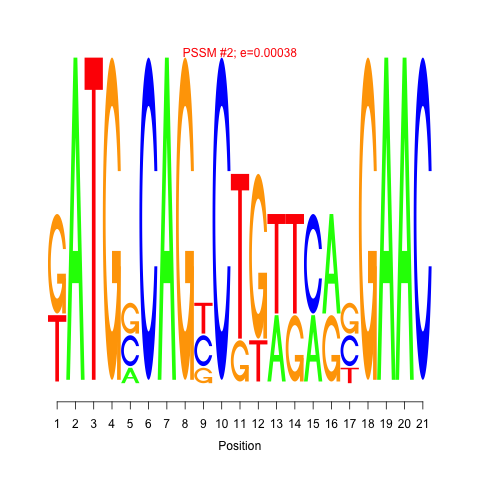 (This type of multisubunit RNA polymerase complex is known to be found in eubacteria and plant plastids). Although sigma does not bind DNA on its own, when combined with the core to form the holoenzyme, this binds specifically to promoter sequences, with the sigma factor making sequence specific contacts with the promoter elements. The sigma subunit is released from the elongating form of the polymerase and is thus free to act catalytically for multiple RNA polymerase core enzymes. Interacting selectively and non-covalently with a specific DNA sequence in order to modulate transcription. The transcription factor may or may not also interact selectively with a protein or macromolecular complex. 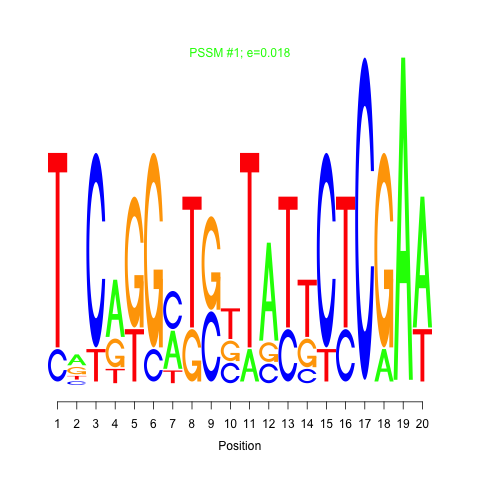 Description:Expression data from transcription factor over expression experiments. TFOE are matched to the ChIP-seq experiment done simultaneously. This dataset is described in Rustad et al. 2014, Genome Biology. How essentiality calculations were done? The relative representation of each mutant was determined by calculating the fold change (sequence reads/insertion in cholesterol divided by sequence reads/insertion in glycerol) for each gene. Statistical significance was determined by t-test. Each insertion site in each replicate sample was treated as a separate data point. The hyperbola used for defining genes specifically required for growth in cholesterol was defined by the formula, y = 3.8/x+0.7. Genes above this line are annotated as required for growth on cholesterol.